This is a great example of how our sculptural metal balustrades can be mixed in with more traditional timber balustrades on a staircase to stunning effect. 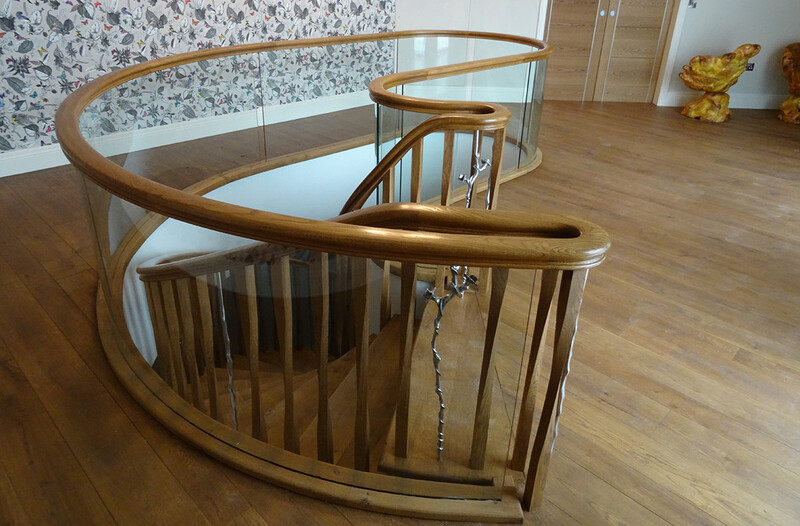 This beautiful helical timber staircase is set off by its sculpted opening in the first floor and the simple curved glass that balustrades it. Our delicate solid metal ‘Rose’ and ’Thorn’ balustrades from our nature range were positioned carefully to create a stop and stare element to this over all beautiful design.